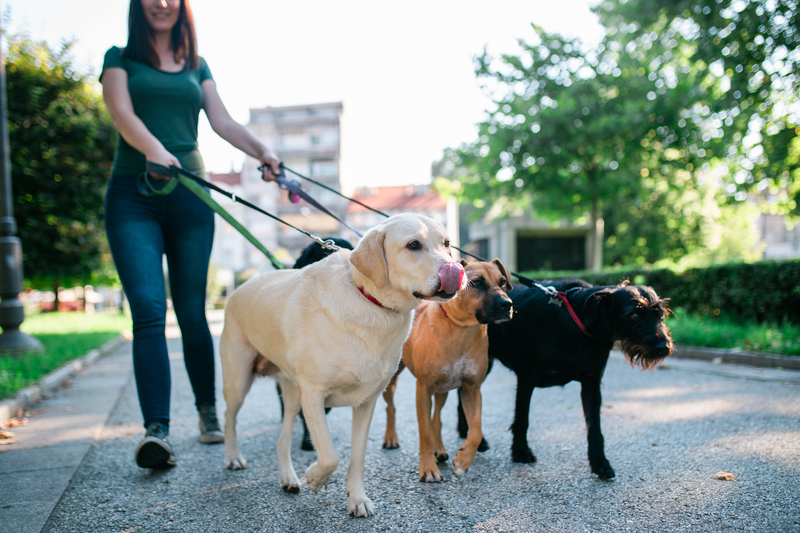 Leaving behind your pet at home as you embark on your much-awaited summer holiday can bring with it its fair share of concerns. Questions like “where can I leave my dog for a few days” can put you in a possible dilemma making you forage the multitude of “pet care while on vacation near me” options! Thankfully, in the age that we are living, there are plenty of choices that ensure your pet is being taken good care of, whilst you soak up some sun. Read on to know, what to do with your pet while you are vacation bound! Subject to your pet’s specific requirements hiring a professional to look after your pet is a guaranteed means of keeping calm on a holiday. In-home boarding, essentially, is serviced by professional pet-sitters, albeit in their homes. Along with its myriad benefits, it can work as a great distraction for your pet dog, in a good way. The concept lays down a good scope for your pet to socialize with fellow boarding pet dogs. In most boardings, the pets are classified pertaining to their breeds and sizes among other elements, so there is no risk of any conflict. Alternatively, should your pet be the most comfortable in your home, which is also its familiar territory, you have the choice of professional pet sitting. Pet sitting involves a pet sitter coming home and looking after your pet dog. Been one of the most reliable sources for ages to look after your pet dog, a traditional boarding dog kennel is a good substitute for a pet sitter or in-home pet boarding. This can turn out to be summer vacation for your pet dog as well, given the number of other pet dogs and the right care. This one’s a great choice over that of in-home pet boarding owing to the fact that your pet will have his entitled space in the form of a kennel here. Thus, your dilemma of “where to leave dog while on vacation” is positively met with a solution here. If you have even the slightest of apprehensions of the above choices, you can never go wrong with falling back on your friends and family for help! Choosing someone your pet dog is familiar with only makes things easier for your pet. Your pet will not only be familiar with that person but also have a great time! A little know-how of basic pet care and your pet’s likes and dislikes is all that needs to be informed to the prospective caretaker Leaving your dog for a month with people you can relieve you off your pet’s concern to a great extent. Given the closeness of your relationship, you are also just a call away should there be an emergency! Considering any of the above, rest assured, your anxiety about leaving dog while on vacation will be eased out. You both -- your pet and you -- can then part on a bitter-sweet note only to look forward to a heart-warming union!